Cars, like people, suffer in polluted environments and it is not unusual for surfaces on your vehicle to become rough under hand even though these maybe microscopic. The vehicle loses its smoothness and clarity on what may otherwise be a freshly cleaned car. Unfortunately there is not a lot that we can do to avoid these main contaminants and they can become firmly bonded to the paint surface and then begin the process of corrosion and expansion, which distorts and damages the paint film. It cannot be removed by simple snow foam and shampoo washing. In-fact washing could increase damage further if you are using the incorrect tools. Also natural organic matter can also be damaging to paintwork, with tree sap, insect residue and bird droppings causing the most damage. 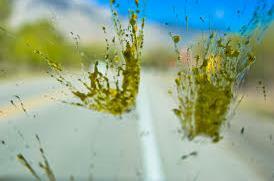 As bird droppings are very acidic, you should aim to remove them promptly. 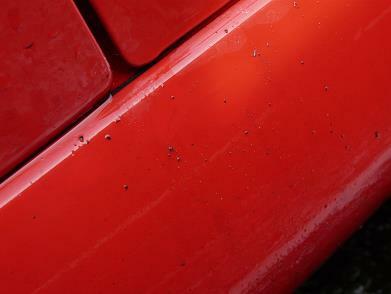 Leaving the droppings will allow them to burn into the paint surface and will make deeper damage more likely. To the point where a panel may even need to be wet sanded, but that’s another story! In this guide we take a look at how to remove these kinds of contamination some of which are naked to the eye and some are not, such as iron removal, tar and insect residue plus a look at how to clay. How do you know if your car is contaminated? Even if you are an avid car cleaner contamination can affect your vehicles surface and no matter how much you shampoo your car it will lose its smoothness and clarity, which in turn means that the paint becomes dull and no matter what products you add it will not improve. Depending on how long these contaminates have been on the car (and of course increasing daily) will equate to how rough it is to touch. It is very easy to find out if your paint has been hindered as clean paint/windows/plastics will feel extremely smooth like a new born baby’s bottom! Simply wash and rinse your car in the usual fashion and while it’s still wet run your fingertips over the panels. To increase this intensity you can put a clear cellophane wrapper similar to that from a cigarette packet over your fingers. If you do feel a gritty, roughness then this means that additional work is going to be required to restore it. Although previously we have mentioned that the majority of contamination is going to be microscopic that is not always the case, on certain colours such as white you can see iron particles as small orange spots and of course black/dark brown spots of tar will also be evident. You can split most common contaminates in to two separate categories – organic (visible to the naked eye) and non-organic (invisible to the eye). These types can seasonally affect your vehicle or all year round, for example the best example of how your car can get contaminated with tar is when the council repair pot holes after a harsh winter or on a busy road with freshly laid tarmac. Parking your car under trees as well is not a good idea as in the summer months dew pours down due to increased insects and then suffering from tree sap droppings around the year. 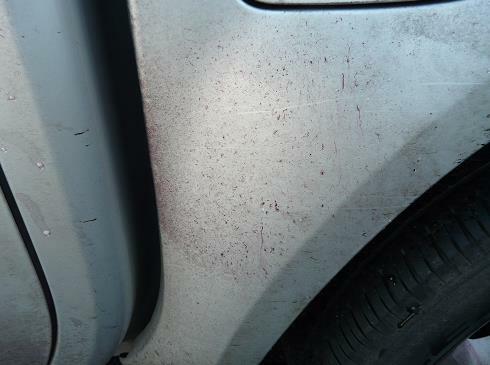 Sometimes another way of telling that the vehicle is contaminated is from when you are applying a product to the paintwork, if you are finding that the applicator or buffing cloth is ‘sticking’ making it hard to work then you know that something is hindering the process. If you seal or wax your car in this manner you will find that the length of protection will be greatly reduced than that stated on the product label. Having discussed that a general wash does not remove the majority of contamination and perhaps you have tried other kinds of exterior cleaning products such as all-purpose cleaners but you will still find that it has not restored the paint to the smoothness required to achieve the best results. 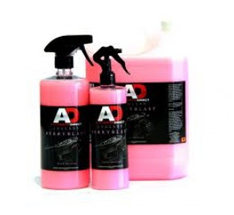 Therefore this is where specific decontamination products come into their own and are by far a better option than using an aggressive polish which will remove unnecessary microscopic layers of paint which could be detrimental to the long term welfare of the car, plus quite costly. Such specific products exist either in individual form such as iron fall out removal or tar removal and it is now possible to purchase combined versions of these which can help speed up the job depending on the level of contamination. Before iron fall out products came on to the market the main type of product recommended to remove these particles and the others discussed was detailing clay. Perhaps you have seen numerous times mentioned on detailing forums; by friends and other detailers about ‘claying your car’ and again this product has not changed over the years except for the new development of clay pads. To those that have never seen detailing clay before I always describe it as similar to the plastercine that you used to play with as a child, although it isn’t actually that and please do not think that you can use this as an alternative! Clay is a mixture of a soft plastic resin and depending on the grade will contain various elements of abrasive particles. This may of just put you off stating that it contains abrasive particles as you could be thinking that this has the ability to scratch your paint work, but as this are microscopic this is not the case if used in the correct manner with an appropriate lubricant and work effectively by you applying consistent pressure to remove the bonded surface contaminates over your car. The clay lubricants or otherwise known as clay lube are available from a variety of brands and it can be quite easy to confuse these with quick detailers as they are spray on, buff off products. The lubricant contains oils that work in conjunction with the clay to enable you to work over a panel safely removing contaminates plus dust and grime is wiped away. Ideally this would be the recommended way to use clay. If you do not have any clay lube available to work on your vehicle then it is possible to mix together some shampoo and water solution to create a lubricant, although you need to be aware that some particular brands of clay react in an adverse manner to this as the clay can disintegrate and would then not be fit for purpose potentially causing more harm than good. As a general guidance we recommend decontaminating your vehicle between 2-3 times per year and the easiest way to think about this is when you are preparing your car before the colder winter months for example September/October time and then around April when the weather starts to improve and you are looking to remove all of the crud that has accumulated over the months in preparation for the summer and any potential shows that you could be attending. 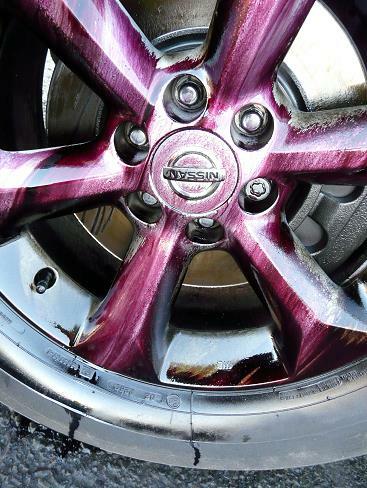 Using clay solely for the decontamination process will go a long way to removing these but you need to be careful using clay on the larger particles such as tar because once a piece of tar is attached to the clay you run the risk of causing scratches and marring on the surrounding paintwork. This is why specific tar removal products have been created. Also you will use a lot less clay/lube by using a specific product for the right job. When you think about it this makes common sense really! Now here comes the catch – you are still going to have to clay the car after removing the tar and iron particles as there will still be contaminates that you cannot see to the naked eye affecting how future products, i.e. glazes and last stage products such as sealants and waxes will apply and protect. In essence you are looking at a 2-3 decontamination stage process taking into consideration all of the areas discussed to ensure that the job is done thoroughly. Where we always talk about that its ‘all in the prep’ this is really part of what we mean, for example why spend a fortune on an expensive wax if you’ve not been through these stages and other discussed in the other detailing guides as it will not work to its potential. 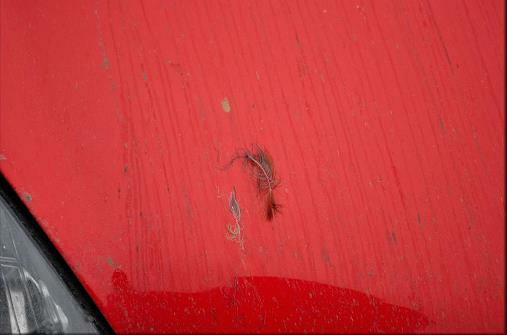 Removing Bird Droppings - Depending on where you are located in the country can be dependant on how much your car is affected by bird droppings, obviously if you live near to the coast or a densely populated food area then your car is likely to be covered more often. We previously mentioned that bird dropping can be very acidic due to the food they eat and how the food is broken down inside their stomachs. 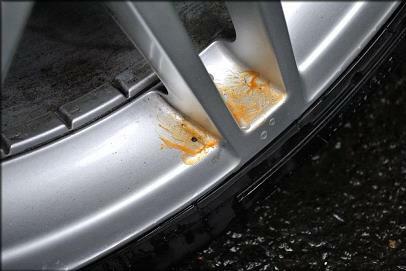 Therefore this can be quite a big problem for your paintwork and we advise to remove it as soon as possible. Ideally the best and gentlest way is to soak an all-purpose microfibre in warm water and place it on the area affected then leave for around 5 minutes. This will soften the product below allowing you to wipe off. 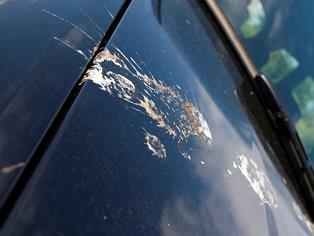 DO NOT rub the area as the bird droppings can contain sharp, coarse material that can and will scratch your paintwork. 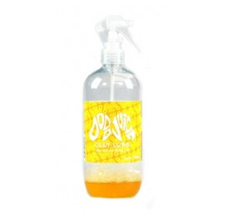 If you do not have access to this method which generally would only be at home then keep a bottle of quick detailer handy in your car and spray liberally on the area again to soften the product before removing. Even if you cannot get all of it off while you are out this is better than leaving it until you return home. Tar Removers are easy to use and literally are a spray on, wait and then wipe off product– can’t say a lot more than that to be honest. You should be able to see the tar particles dissolving. These are generally safe to use on all areas of the car, however please read the product labels beforehand on the various brands available on the market. Some products can be a liquid or can be solid paste that you spread on the area sticking to the tar particle, shown in the photo below. 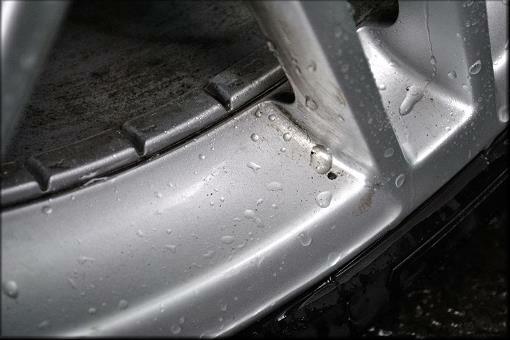 Remember to fully rinse the car or the area that you have de-tarred before moving on the next stage. Iron Fallout Removal products are again quite simple to use and you can use these on both the paintwork and alloys as both areas are affected by iron fallout. Spray on; wait and you will see the product change to a purple colour (the majority on the market turn this colour), looking a lot like it is bleeding. Now at this point you can either rinse off using water or if you prefer using a separate microfibre sponge or wash mitt go over the car ensuring that the product completely covers the panels. Oh and most iron fallout on the market stinks – just to warn you! This photo shows you iron particles reacting to the iron fallout remover. Remember to fully rinse the car or the area that you have removed fallout from before moving on the next stage. Using detailing clay is a little more complicated than using the other decontaminating products and therefore requires its own section. 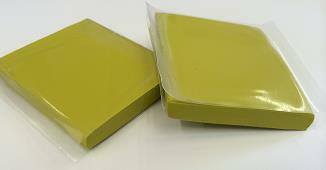 1) Here is a typical example of how you would receive a pair of yellow fine poly clay bars. With one of the bars you should be able to tear it into two pieces and taking one half, mould it in your hand until it becomes soft and palatable. Due to several factors the bar may be too hard to mould in your hand, i.e due to cold temperatures or a much larger bar size such as Bilt Hamber’s 200g. If this is the case pop it in a cup of warm water for several minutes to warm it up and you’ll find that it will soften enough to use. If you have never clayed before then it would be advisable to use the fine poly clay rather than a more aggressive grade to minimise miss-use and reduce any marring (the creation of small scratches). 2) Assuming that you have previously washed the car to remove as much debris as possible leave the car wet as this helps with lubrication (although you still need to use the clay lubricant). Work from the top to the bottom of the vehicle and a panel at a time divided into sections spray some of the lube on to the area and using slight pressure rub the clay up and down following the lines of the car. You will probably hear a noise a little like sand paper but do not be alarmed as this is the clay picking up the contamination off the panel. Once this noise stops you know that the area is clean, or alternatively if you wipe the area with an all-purpose microfibre the panel should be very smooth rather than rough to touch. If it isn’t smooth then repeat the process until you achieve this. A word of warning if the clay seems to stick to the panel then you need to use more lubrication, the more the merrier as it will not harm the car. Also it is best to clay when the car is cool rather than in direct sunlight or if the panels feel hot to the touch. 3) Keep an eye on the side of clay that touches the panels as over time even if you have taken previous steps to full decontaminate using iron fall out and tar remover it will become dirty – this is the additional unseen contamination that you are removing. 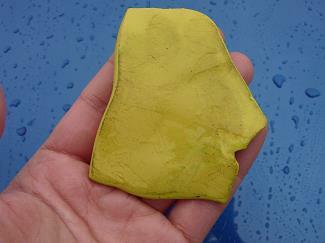 Once this happens fold the clay in half and remould until you have a clean side and continue the process. If the car is heavily contaminated and you reach a point where you are folding the clay and cannot get a clean side then use the other half of the remaining clean clay bar that you tore in half previously. 4) Repeat this process all over the car including your windows and mirrors (you can also do your alloys) as these too will pick up contamination the same as the painted areas. 5) Once you have completed the car it is best to re-wash again using the 2 bucket method to fully remove any dried on clay lube and debris that you may have loosened before continuing with the next stage. DO NOT ever leave the car at this stage as it is completely un- protected and subject to further damage. Due to recent advancements in technology the availability of a ‘clay pad’ has been created as an alternative to a clay bar. 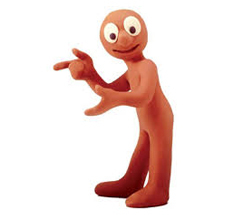 As you may have realised once a clay bar has been used it cannot be reused and need to be binned. 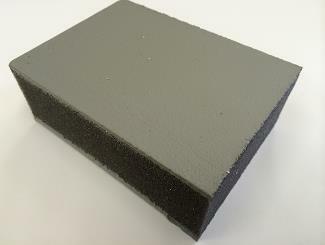 A clay pad is something which is re-usable (to a certain point) , no need to fold or throw away…it is possible to last for dozens of cars before losing its effectiveness, therefore if you are somebody that clays regular cars this can be much more cost effective than the traditional method. The use of the clay pad is similar to the traditional method and that you still need to use the clay lubricant and have a wet car to assist the process. Work from the top to the bottom of the vehicle a panel at a time as above. However rather than folding keep an eye on the flat pad and rinse occasionally in a plain bucket of water to remove any of the debris that it is picking up from the car. Various grades are available on the market again as standard clay bars and if you would like to use this but never clayed before I would recommend the fine grade to minimise the risk of marring.